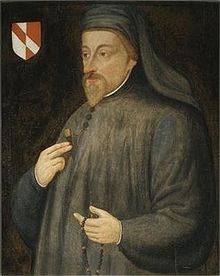 Geoffrey Chaucer, the author of the Canterbury Tales, was born sometime near 1340 somewhere near London England. At around 1357, he was found under the works of Elizabeth Ulster, the wife of Lionel, Duke of Clarence. In 1359, he was in the war of France. During 1374, he lived in prosperity after serving the king. During Chaucer's later years, he had begun working on his literary work. He was not only known for writing his uncompleted Canterbury Tales, but he also wrote Troilusand Criseyde, and Dryden's Palamon and Arcite.